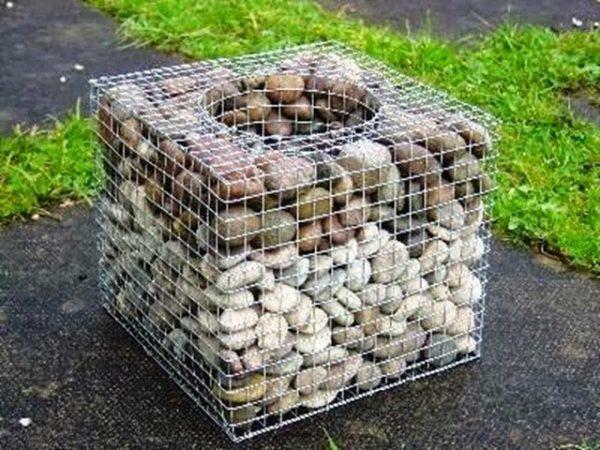 Gabion fences are wire mesh baskets filled with stones. 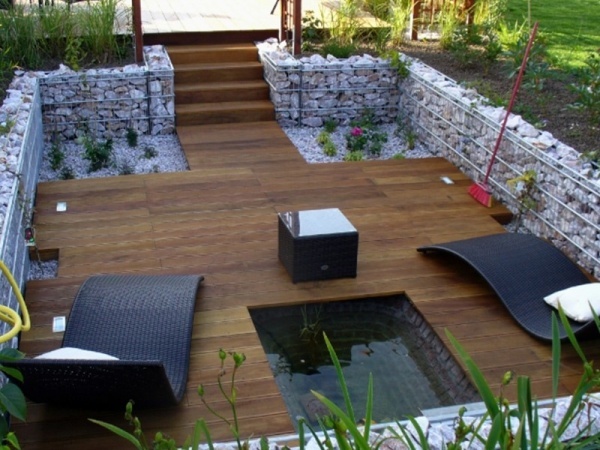 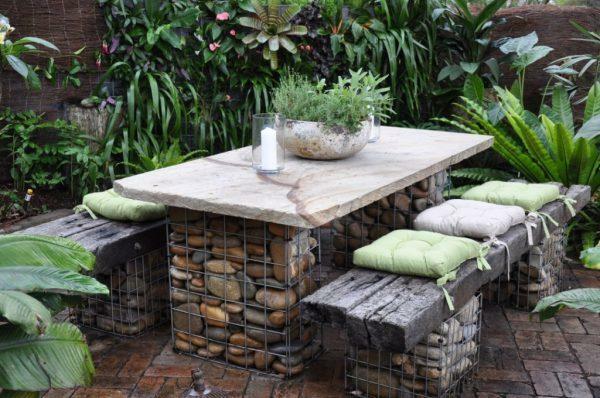 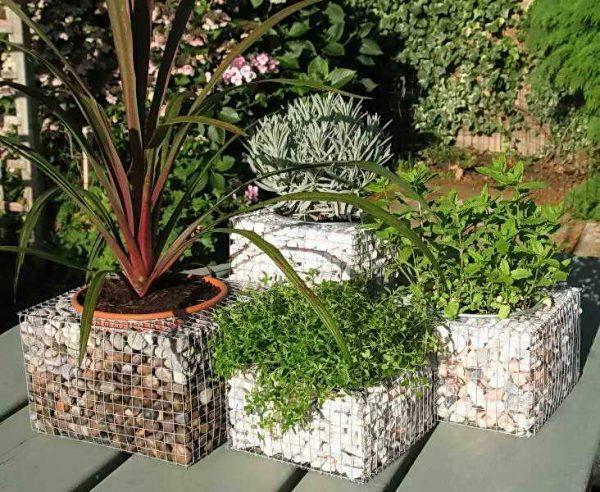 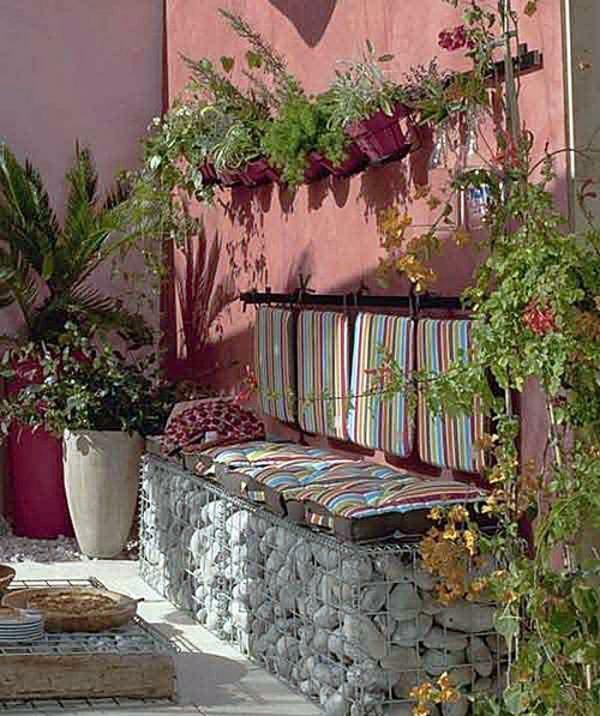 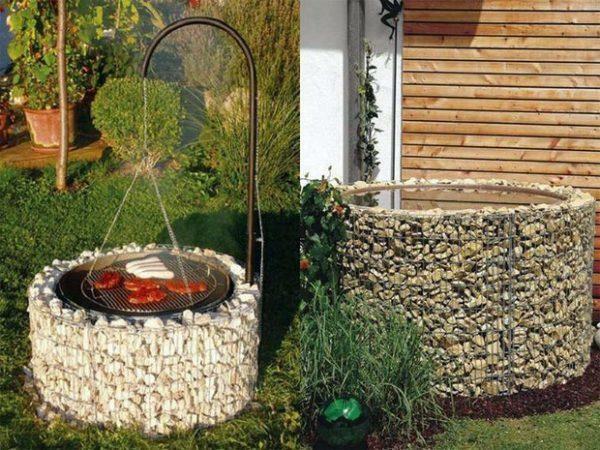 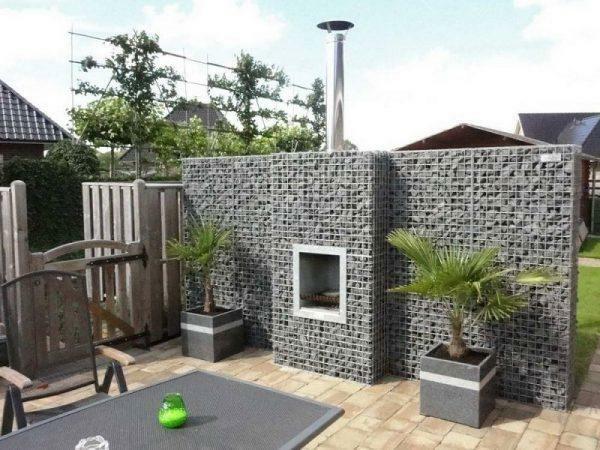 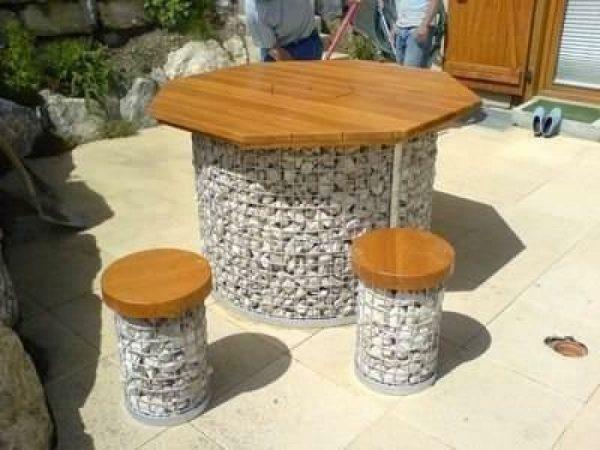 Gabions can be used for many purposes in the garden: for benches, external environment of the fireplace, fences, surroundings of ponds, plants and even the pillars of the tap. 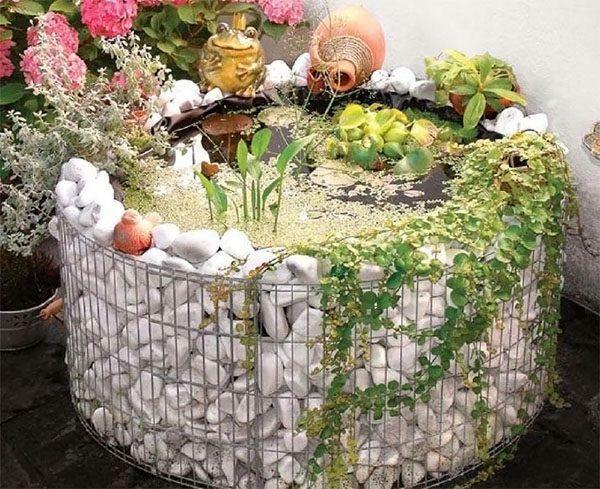 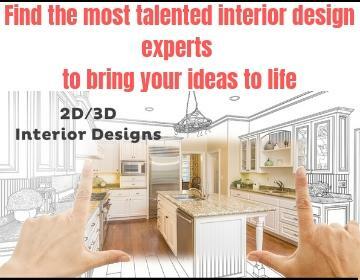 – Aesthetics and compatibility with the environment. 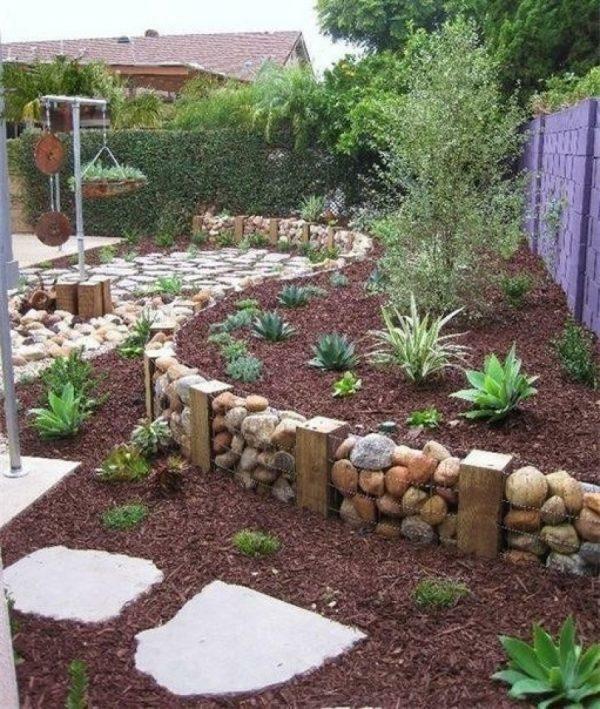 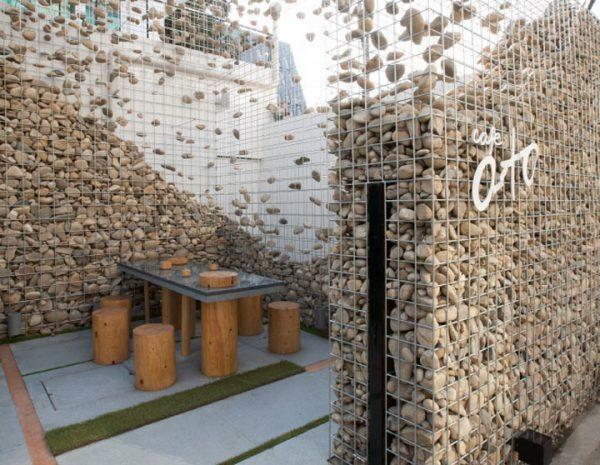 : gabions look natural and can connect the house with the landscape using material excavated on the place of the building. 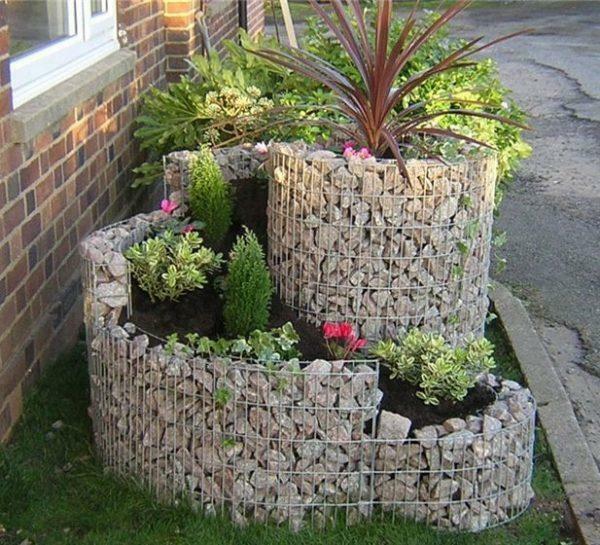 When using materials from the place of the building, transportation costs are eliminated. 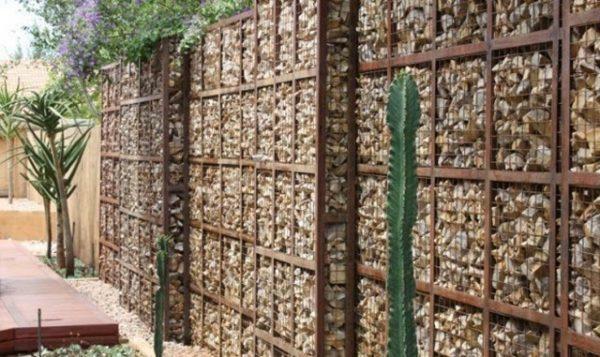 – It is used as a cooling system in hot climates; gabion fences provide passive cooling and allow air movement providing ventilation. 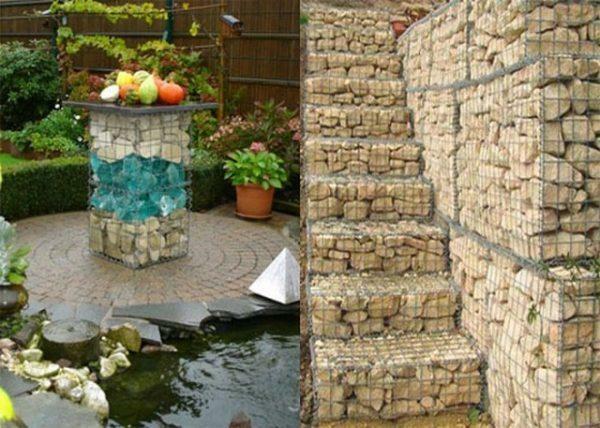 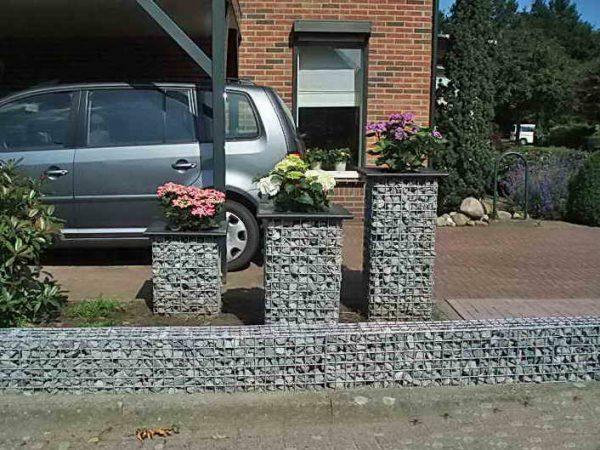 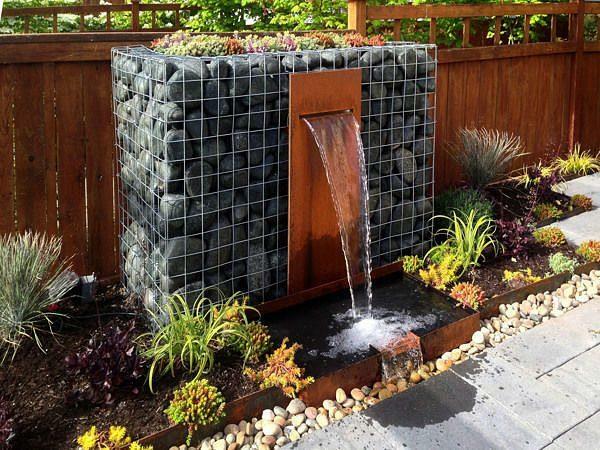 – Permeability: gabions are permeable and can’t be damaged by water. 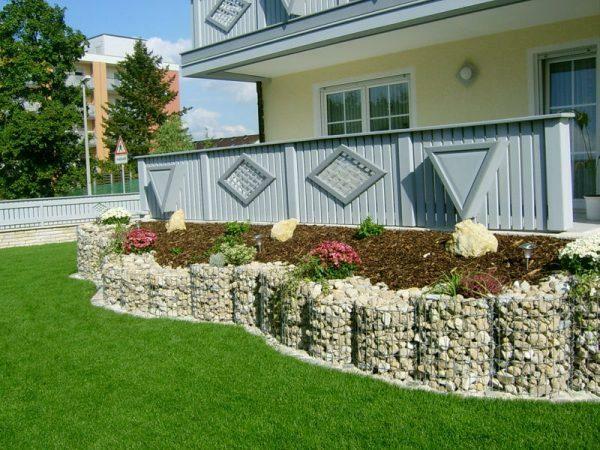 – Easy installation and hardness: Stones of the fence lying on the ground and is not need concrete base. 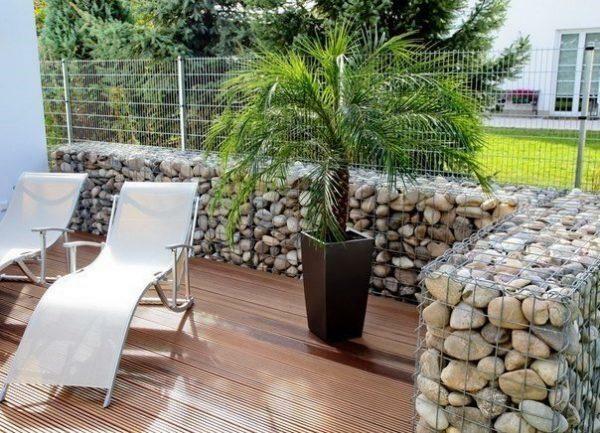 The hardness of the fence can also increase with time, as silt and vegetation fill the gaps and strengthen the structure. 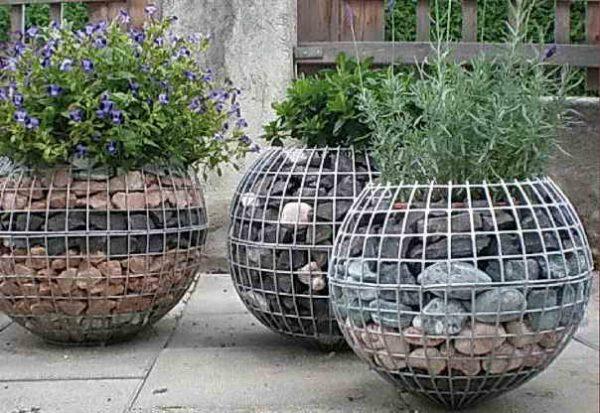 Another advantage compared to the more rigid structures is that the movement of the soil doesn’t adversely affect on the gabions fences. 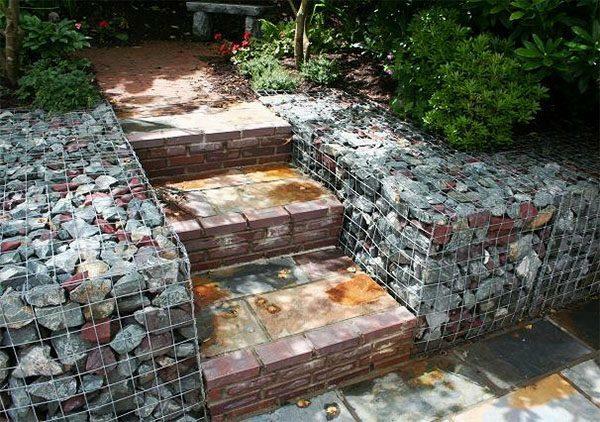 – Durability: stones in gabion fences are typical used because of durability, longevity and stability.